I spent this last week catching up on the comics I’ve gotten from Kickstarters over the course of the last like, year, so that means I’m allowed to buy more, right? I’m certain that’s how this works. 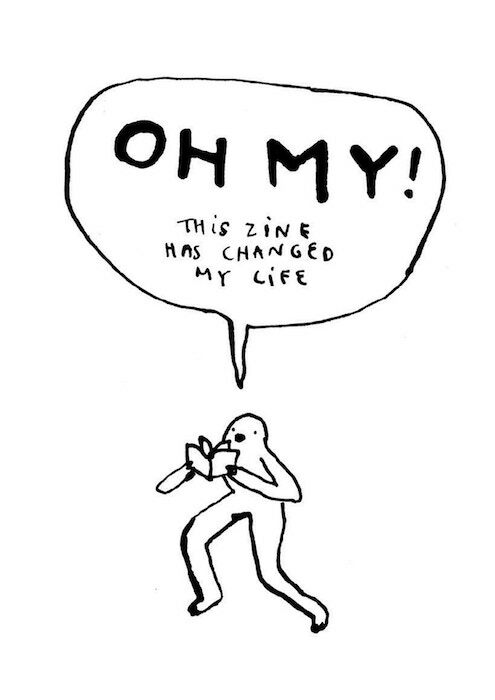 June is practically bursting with good campaigns—from massive webcomic collections, to DIY flipbook kits, to queer zine fairs—so let’s jump on in! 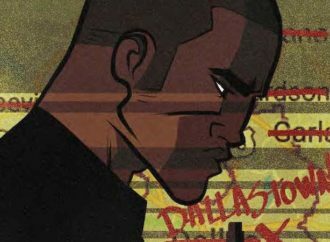 Elk Mountain is a graphic novella about Valor, the superheroic defender of the small town of Elk Mountain, and about what happens when he disappears. It’s also an exploration of the current political climate: one charged with hate, where neighbors can turn against each other in an instant based on traits they’d previously deemed irrelevant… traits like, in the case of the town of Elk Mountain, immigrant status. 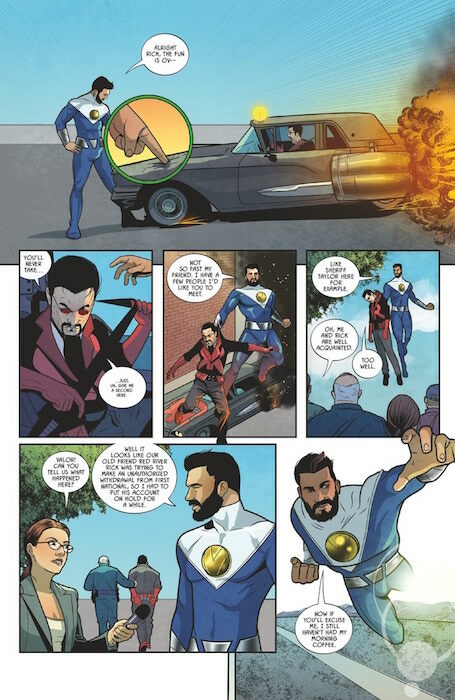 Valor himself is an immigrant, and—if writer Jordan Clark pulls it off—Elk Mountain could meld the metaphor of superheroics with the real-world issues of immigration and division. Andy Bailey makes flipbooks, and he wants to make it easier for you to make them too. 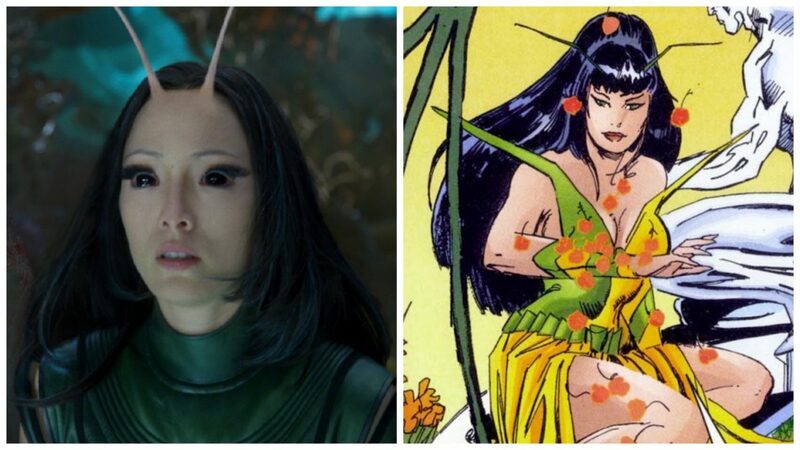 While not strictly comics, I can’t tell you the number of kids I knew growing up who were obsessed with flipbooks—and for some of them, that obsession led to careers in comics or games! The most exciting thing about this campaign is the small light pad, meant to make it easier to draw transitions between one frame and another. 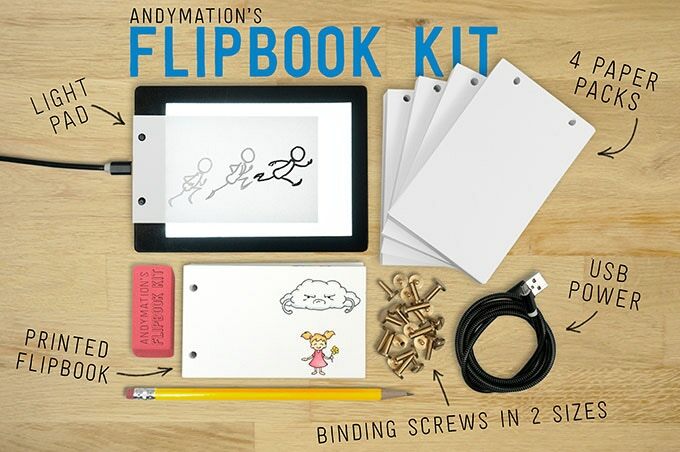 $50 USD (including shipping) gets you the light pad and materials to make four flip books, so this might be a wonderful gift for a kid in your life! 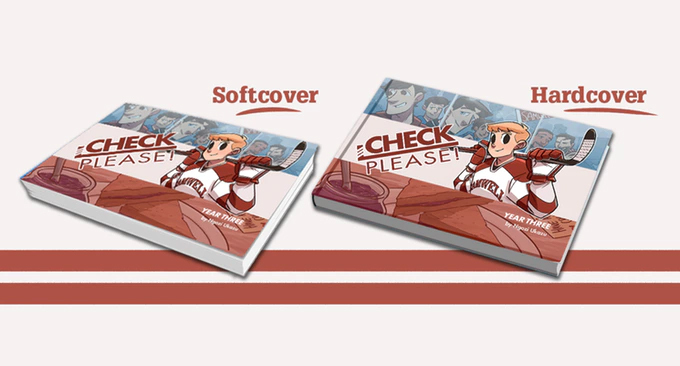 Check, Please!, or, “The Gay Hockey Comic,” is back on Kickstarter for Year Three! Year One was a smash success, Year Two crushed webcomic Kickstarter funding records, and this year it’s looking like it’ll do the same. Check, Please! has actually been picked up by First Second (the first volume, #Hockey, collects Year One and Year Two and comes out in September), but creator Ngozi Ukazu is continuing to self publish the individual years through Kickstarter. If you like sweet characters, found families, and the goofy chaos of young adulthood, Check, Please! is well worth checking out. You can read the whole comic for free right through here. Sam Logan, the guy behind Sam and Fuzzy and Know Your Corgi Shapes, is collecting his pet comics into a standalone book! 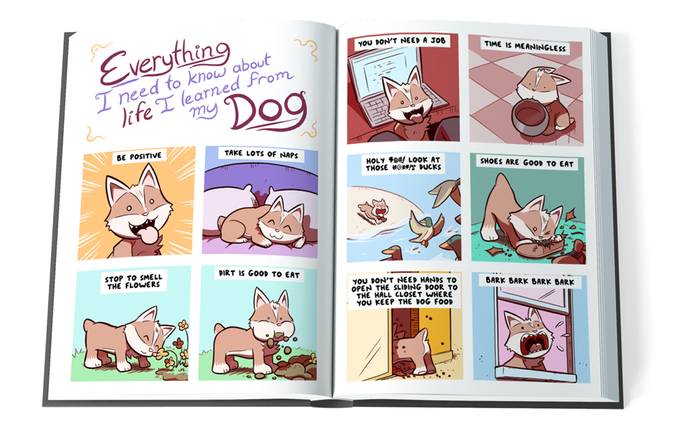 The book will include all the pet comics from the Sam and Fuzzy site, as well as a whole bunch that were created for the collection itself. The Vote Dog campaign includes both a hardcover and a softcover option, and one of the levels gives you a chance to get your own small friend into the book. Logan has also written for Invader Zim and done illustrations for Ryan North’s Romeo and/or Juliet—so if you like zany, slightly twisted humor and furry animals doing weird stuff, this book could be for you. 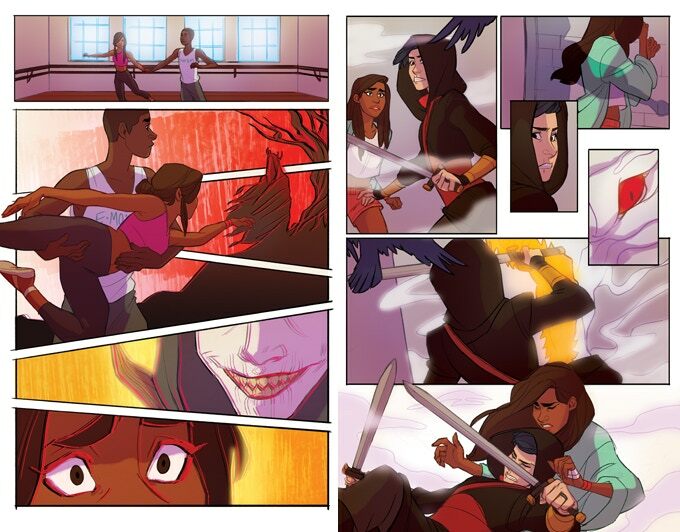 Circadia is the story of an exhausted ballerina, Zara, who finds herself crossing the blurred line between dream and reality and getting sucked into adventure with Aderes, the nonbinary assassin who Zara thought was a figment of her imagination. 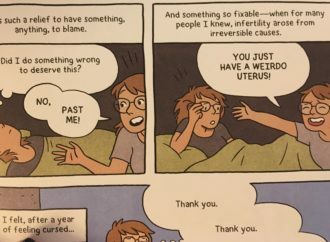 Though Jennifer Dugan is Circadia’s sole writer, the story is presented anthology-style, with different queer artists on each issue and minicomic. This issue includes interiors by MJ Erickson and a cover by Eli Baumgartner (one of the creators of Heart of Gold), and the issue is already complete and ready to print! Joy Ho, Stephanie Dogfoot, and Gabbi Wenyi Ayane are raising money to host Singapore’s first queer zinefest in July! The event won’t be ticketed and appears to already have a venue, so the organizers are just trying to raise money to rent tables and chairs, produce event merch, and provide honoraria for panelists and speakers. Even if you can’t attend the fest, backers can get postcards, stickers, and tote bags through the Kickstarter—as well as the warm, fuzzy feeling of helping make more queer zines find a platform. Finding Home is a webcomic about travel, nature, and relationships. 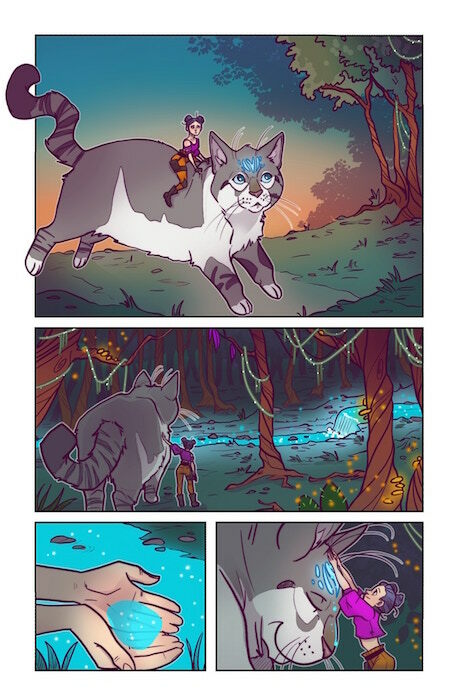 The story accompanies main characters Janek and Chepi as they travel through the forests of a lush fantasy world, and also visits their memories, showcasing creator Hari Conner’s gorgeous worldbuilding. The story and visuals are packed with meaning, from settings that draw from a breadth of histories and mythologies down to the meaning of the plants that sprout on Chepi’s skin when he’s exceptionally emotional. 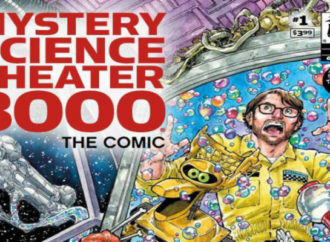 You can read what’s posted of volume one right through here, but the quickest way to get the whole first volume is to back the Kickstarter! Okay, so, imagine a post-apocalyptic wasteland. Radioactive water, mutated animals, funky colors in the sky, the whole nine. Now imagine a spunky 20-something woman, her giant friendly cat, the threat of a second apocalypse, and a whole lot of adventure. That’s Afterglow! 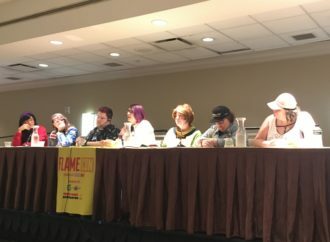 Written by Pat Shand and illustrated by K. Lynn Smith (the creator of longrunning webcomic Plume), Afterglow is a 70-page young adult graphic novel that comes with a wild pile of add-ons and Kickstarter bonuses. You can also pick up some of Shand’s previous projects, including Destiny, NY and Prison Witch! Faith Says You 1: It’s Dark Outside is the beginning of a story about kids, loss, and devotion. 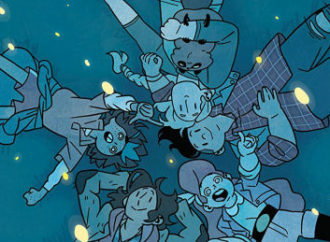 The book takes place in 90s England, following its main characters on what looks like it’ll be a The Wicked and the Divine-esque journey through love and self-determination. It’s Dark Outside is already drawn out and just has to undergo corrections and proofing, and the following two volumes of Kate Brown’s planned trilogy are already scripted and thumbnailed. Content warning: Faith Says You includes discussions of suicide, as do the preview pages posted on the campaign page. 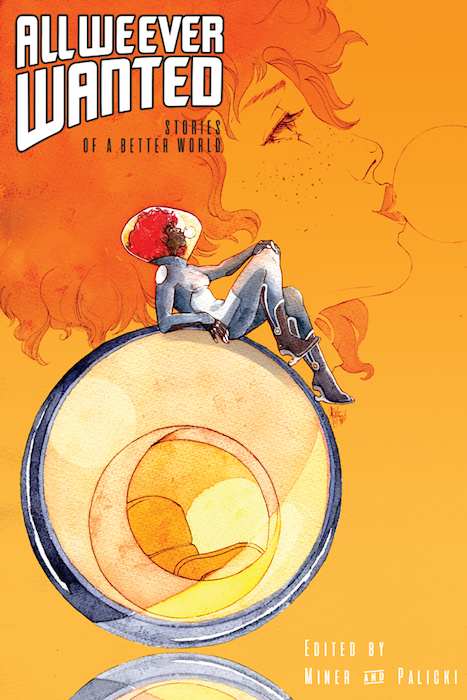 Packed with industry names and gorgeous artwork, All We Ever Wanted is an anthology that explores hopeful stories of the future. 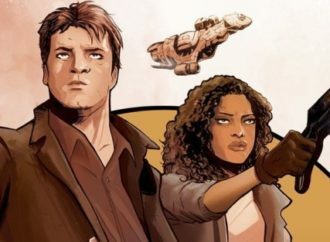 The book is meant to inspire and uplift, staying far away from dystopian tropes and instead focusing the better worlds that the creators believe are possible. 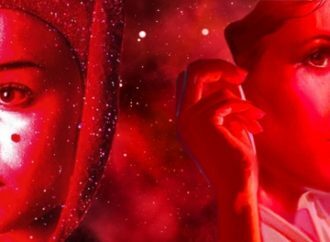 All We Ever Wanted already has a publisher, A Wave New World, so the Kickstarter serves specifically to cover page rates for contributors and shipping costs to backers. Among the contributors are some exciting names—Tess Fowler, Robbi Rodriguez, Chris Visions, and even former WWAC contributor Lela Gwenn!